You are the salt of the earth. — Matthew 5:13 Jesus told His followers they were the salt of the earth. FEAR NOT God commands us not to fear our enemies. “You shall not be afraid of them” (Deuteronomy 7:18). 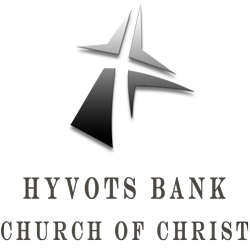 Hyvots Bank . . . connecting our community with God, one another, and the world through the love of Christ.